Kimmy read the first couple chapters already and has given it the thumbs up. Based on what the rest of us heard, it sounds to be an exciting adventure and a must read. Besides, it’s got a cool cover. Very generously, Jordan has donated some copies for us to giveaway. We’ll be giving a copy to a lucky fan or two who Retweets this episode’s Twitter post. We’ll announce the winners on July 13th. If you just cant wait, which we don’t blame you, go grab a copy right now: DreamWake from Amazon. Listen closely, as Jordan covers a lot during this episode. From a definition of Lucid dreaming to the do it yourself secrets, he holds nothing back. In fact, Ollie is super stoked to try this at home and we encourage our listeners to do the same. Most importantly though, Jordan says “to have confidence!”. Now go out there and take control of your dreams, make them what you always dreamt they would be. 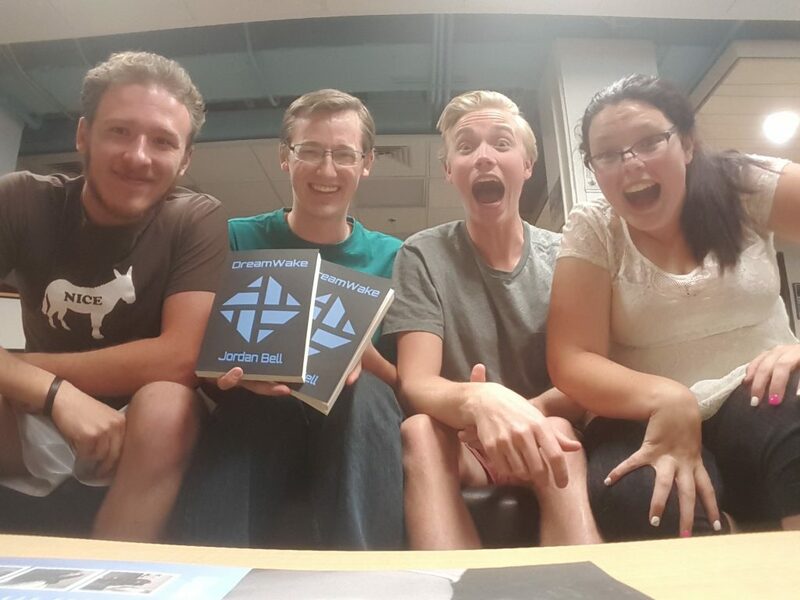 Jordan is one of our fellow students here at the U so seek him out for a big high five and a congratulations on the publishing of his book. Thank you Jordan for coming on the episode. Also give Jordan a follow and like @DescendingChime and Jordan Bell, Author. If your interested in getting your own book published checkout his publisher Get My Story Published. 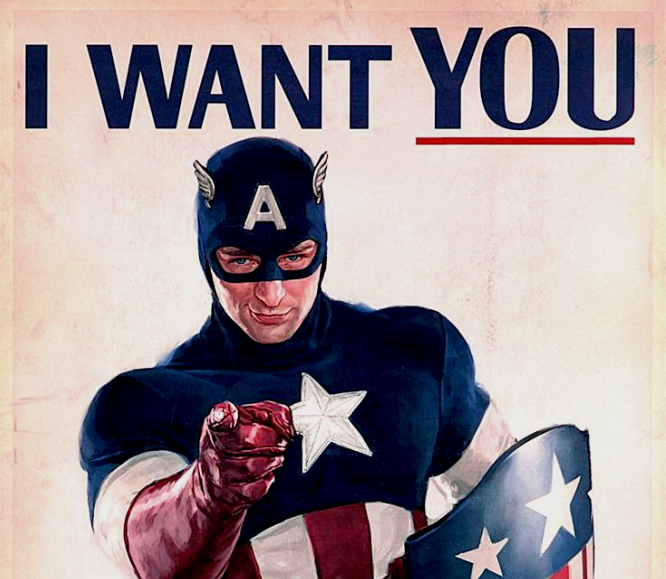 Otherwise, have a great 4th of July Weekend and geekout! The Geekwave Episode 40: It Gets Steamy! We all hope you are enjoying the Steam Summer Sale which started yesterday, June 23rd. If you were unaware of this, email us and we will help you. This week on The Geekwave we talk about the Warcraft movie and all the great success it has had. Solar and Lee both saw the movie and they give a spoiler free review. It definitely receives two thumbs up. To say the least, if you enjoy video games you should probably go see it. Then we talk Star Wars. Their have been a lot of cool announcements about Star Wars: Rogue One. You can checkout the announcement on the Star Wars Website. To wrap it up, we get steamy. 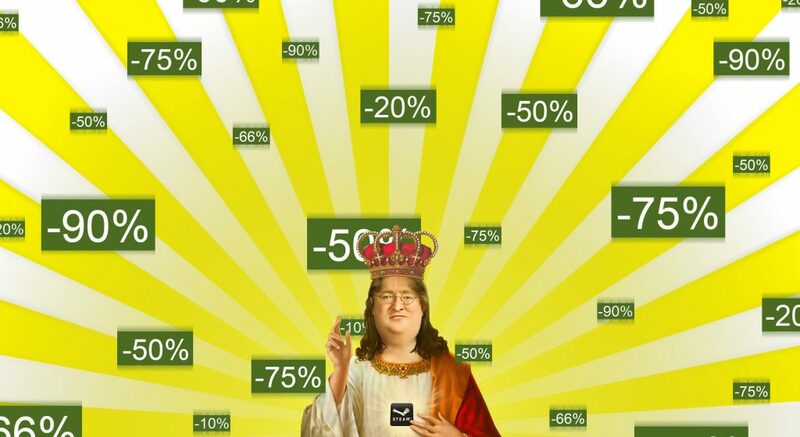 As already mentioned, Steam Summer Sale has begun. Until July 4th their will be endless deals and happiness in the gaming world. Remember to have a plan and set a budget. Hopefully your wallet will come out alive. If you like funny videos and want an accurate representation of the Steam Summer Sale, watch this: Lord of The Sales. Enjoy the episode and happy spending. Geekout! Hope everyone had a fabulous time at Salt Lake Gaming Con. We cannot wait until next year! We got a special bro-tastic episode for you and make sure to listen all the way through, because we have a give away on this episode and in the episode we say the keyword! We will select 3 random winners on the next episode and send you a steam key. Make sure to stay tuned to our Facebook and Twitter along with all this summers episodes cause we have lots of giveaways. On this episode of the Geekwave, Ollie forgot how to tell time and was very late. Nonetheless, Solar and Lee “The Neuschwanderer” had some chill bro time. 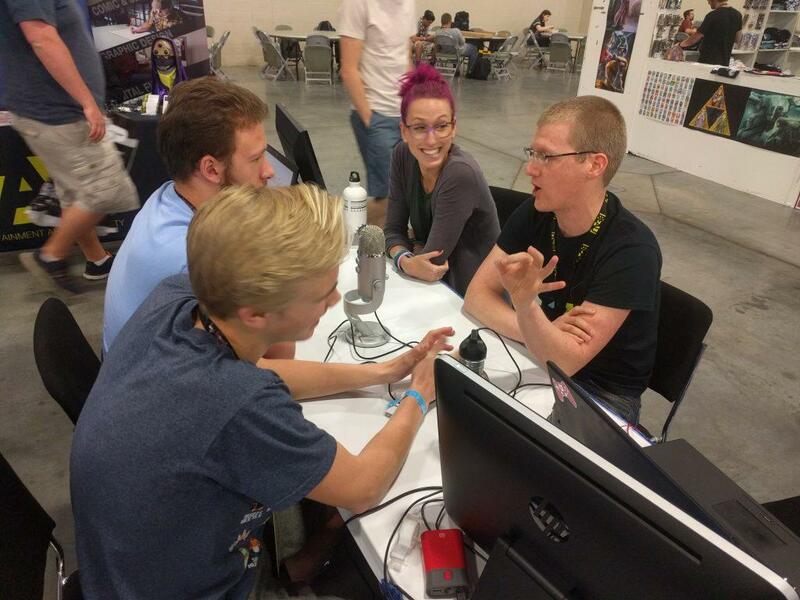 Once Ollie finally arrived, we did a nice Salt Lake Gaming Con Wrap up. Overall, it gets three game hardened thumbs up. We now love LARPing. Checkout our video of Ollie and Lee dueling at the con! Come on, who wouldn’t want to hit each other with foam swords? Besides, we use to do that with plastic lightsabers that would make your fingers bleed. Really this is just less barbaric. Then we talk table top games and Ollie educates us on Warmachine. Solar also preaches about Kickstarter and the game Finding Gravity made by University of Utah Students. You should definitely go back it. To end it all we have a science quiz and Ollie and Lee cannot remember the order of the planets. There is much, much more, including the keyword for the Legacy of The Elder Star giveaway, but those are the highlights. Have a great weekend, stay cool and geekout! We are recording from the floors of the second annual Salt Lake Gaming Con at the Sandy Expo Center. This event is a gamers’ paradise with countless games to play, demo and enjoy. There is still one day left, so don’t hesitate to come on down. SLGC has a special place in our geek hearts since at the original Salt Lake Gaming Con, The Geekwave did its first episode. So far we have had a pretty good run. This year The Utah Games Guild has been so courteous to let us use their booth for the episode and Fresco Press has generously donated t-Shirts for us to give away on Facebook. Make sure to like this episodes Facebook post for a chance to win. If you win show up at the Fresco Press Booth on Saturday, June 4th and pick up your t-shirt. The three prizes are a visually pleasing Boba Fett t-shirt or one of two Salt Lake Gaming Con shirts. On this special episode, we sit down with three different development teams from The Utah Games Guild. To start it off, we speak to Lanie a director of The Utah Games Guild and Josh the developer of Legacy of The Elder Star. We chat it up about the con and Josh’s game which releases on June 7th. In fact, we will have some Steam Keys to give away next week. Legacy of The Elder Star is a really fun and pretty action shooter that is accessible to everyone. Definitely check it out! Next up, we talk to Marc and Dave, two of three brothers who have been working on Crashnauts, a futuristic, 2D, local-multiplayer and insanely entertaining game. Growing up playing similar games these brothers bonded. Wanting to give others a similar experience and drawing inspiration from games like Towerfall Ascension, Crashnauts was born. Make sure to stay tuned for more updates from these rocking developers! Last but not least, we sat down with David and Nick developers of We Need to Go Deeper. This co-op, submarine experience inspired by 20,000 Leagues Under The Sea is a blast for a group of sea hardened or not sea hardened friends. We hear what it is like to switch engines and we are not talking about on the yellow submarine. From Game Maker to Unity, We Need to Go Deeper is a great time and we look forward to trying to captain our own submarine in the future. Once again, like the Facebook post, checkout Salt Lake Game Con and don’t forget to geekout! CALLING ALL GEEKS AT THE U OF U! The Geekwave is looking for new team members! We’re specifically looking for Bloggers, Game Streamers, and Video People, but if you have any sort of talent and you’d like to get some experience working for Student Media and contributing to The Geekwave, then we encourage you to apply here! On this episode us four have a discussion about Captain America: Civil War which is long over due. Warning there are spoilers!!!!!! We give our opinion on the movie, talk about the cutest super hero and discuss what we think will happen next. There is so much more Marvel on its way and don’t worry comic book fans, we also talk about the Civil War comics. Then we almost die over the shocking news that Captain America is a Hydra Agent! (Cue more dramatic music) As any good Geekwave conversation we have a terrible segue into just general Disney stuff. Ollie does try to incite a battle between Lee and Solar about The Jungle Book, but Lee changed his answer. Oh, that’s right! Lee isn’t Lee anymore, he is now the Neuschwanderer. This may seem like a strange name but it makes sense if you watched our Dark Souls III stream this week. We wrap up the episode by reminding you, the viewer, to come and see us at Salt Lake Gaming Con next week! It will be a blast and Ollie mentioned some questionable promises. Also last week we got a new theme song, another shout out to Conquer Monster for doing an awesome job. Have a great Memorial Day Weekend and geek out! Halo 5 Is Rocking It! In episodes you may hear me briefly mention something about Halo 5 or tell a story of an epic battle experience. Recently I dove back into the fray. I took a break for a while over the winter and now I have become immensely engrossed in the game again. I have to say, Halo 5 might have the best post-launch plan of any game. With updates rolling out almost every month that include new maps, weapons, customization and game modes, I have never felt so justified in my purchase. I expected to really like Halo 5, but I did not anticipate becoming this invested. Today I am just going to give my to sense on why Halo 5 is still rocking it seven months after release. In my personal opinion Halo 5 is one of the best next gen games and is the primary reason I own an Xbox One. Having played Halo from a very young age, it has always amazed me how they continue to innovate. Unlike other games where I feel they are to similar or are re-skinned versions of their past selves, Halo has always mixed things up and not been afraid of change. 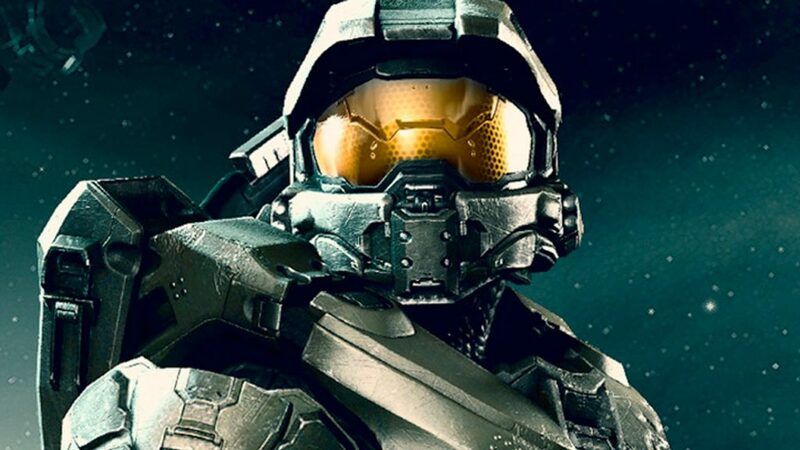 Sure they have had some bumps in the road, but 343 Industries has done a fantastic job of making some of the best multiplayer on the market. Even better, they continue to tweak and add to this experience free of charge! They went with a very different post-launch model than the traditional season pass, which has become all too common, and they have since maintained a substantial player base. Not to mention they used the REQ system to revive the competitive Halo scene. It is no lie that the updates are on point. Sure there have been unpopular maps, but every update has added so much content and did I mention it is all free! For example, I cannot wait for the next update Hog Wild which promises some exciting new warthog variants. It also looks like Halo 5 Forge and Custom Games are coming to Windows 10 for free. This is gonna give forgers so much control and even expand the already substantial Forge community. Still, the summer holds even more excitement with Warzone Firefight dropping in June. Firefight, perhaps my favorite mode from Halo: Reach and a painful hole in Halo 4. They also aren’t afraid to tinker with core mechanics such as the recent increase in movement speed while crouched. Being whiling to take risks is a great mindset. The improvements dictate their ability to keep players playing, buying REQ packs and making new sales to expand the player base. There is a lot more at stake for a company with free updates than one who has already pocketed money from season pass holders. Lastly, Halo players are pretty cool. I have met some of the nicest gamers while being in open chat. I have had great sociable experiences with 12 players filling up our fireteam so we can employ elaborate strategies in warzone or 16 players throwing down on custom built clan maps that look professional. By the way, playing Halo 5 in a clan and raiding is one of the funnest ways to spend in game time. There ya have it! Feel free to disagree with me but Halo 5 is one of the best multiplayer experiences on the market. I love it and plan to spartan charge my way into the future! We hope you missed us as we took a break from being geeks…not! We just didn’t do an episode and the break was nice. But now we are so excited to be back and ready for this awesome geektacular summer! Don’t worry you aren’t hearing things! You may notice that the music leading into this episode is fresh, new and fantastic. We finally got bored of our free YouTube music. Conquer Monster has a done a wonderful job of creating our new theme song, Geek Dream. So a big thank you to Joshua Faulkner and Daniel Romero, the members of Conquer Monster, for giving us a new sound! It has been a real pleasure working with them. It was so great, we just had to have Joshua on an episode. So we sat down and chatted it up about Conquer Monster. Joshua gives us the behind the scenes details about how they do their Electro Sci-Fi musical magic using dinosaur aged computers, Game Boys and other old pieces of technology. He shares some fun stories and lastly, we get the low down on their new album Metatransit. This is no normal album. In fact, this album actually accompanies the Purge Worlds comic books by Black Omen Comics. The music is meant to give you a feel for the world and is best listened to when readying the comic. So make sure to pick up a copy of the comic and the sound track. While your at it, hit up Conquer Monster on Facebook and Twitter. You can listen to all their music on Bandcamp and SoundCloud. 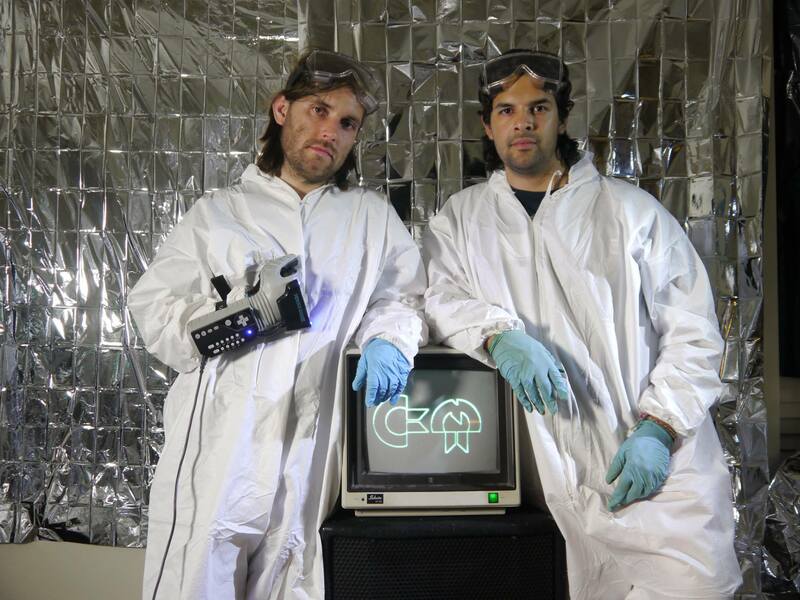 You can also download Geek Dream for free on their Bandcamp. Yay for free stuff! To wrap up the episode, Lee gives us a very in depth review of DOOM and it gets a rating of six slices of pizza out of 8. Definitely a thumbs up! Then Solar lets us know about all the fun events happening in the near future, including this weekend’s Steamfest and next weekend’s Imperial Ball. Make sure to look for us at Salt Lake Game Con. Have a great weekend and geekout! The Geekwave Episode 34: Hi Mom! I hope you all survived finals. We here at The Geekwave are survivors, and we are very ready for summer. This is the final episode of the school season. Thank you for sticking with us and listening to The Geekwave. We love everyone of you. We are going to take next week off. 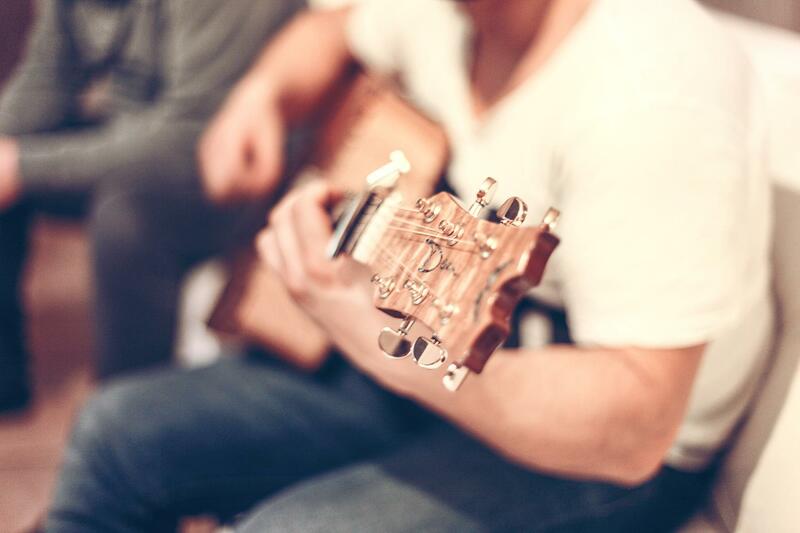 However their are some exciting summer plans that we cannot tell you about yet but stay tuned! Make sure you check out the big Geekout tonight! Also tomorrow is Free Comic Book Day! Hooray! On this episode we talk about moms. Moms are very important to gamers, geeks and really everyone. First off we revisit Ollie’s blog post from yesterday which focuses on the importance of moms to gamers. Then we share a variety of our own experiences and to finish it off we look at famous moms in the geekdom. If our moms are thinking about listening to this, you should, because we give you a shout out! Overall, be good to your mom. Treat her well. Hope you enjoy the episode. Have a happy Mother’s Day and geekout!